Another month has gone by and that means it’s time to round up my monthly favourites! Today I have a mix of jewellery, footwear and proof that I’ve finally joined the 21st century in the form of a Iphone, so without further ado, here are my most coveted pieces this month. 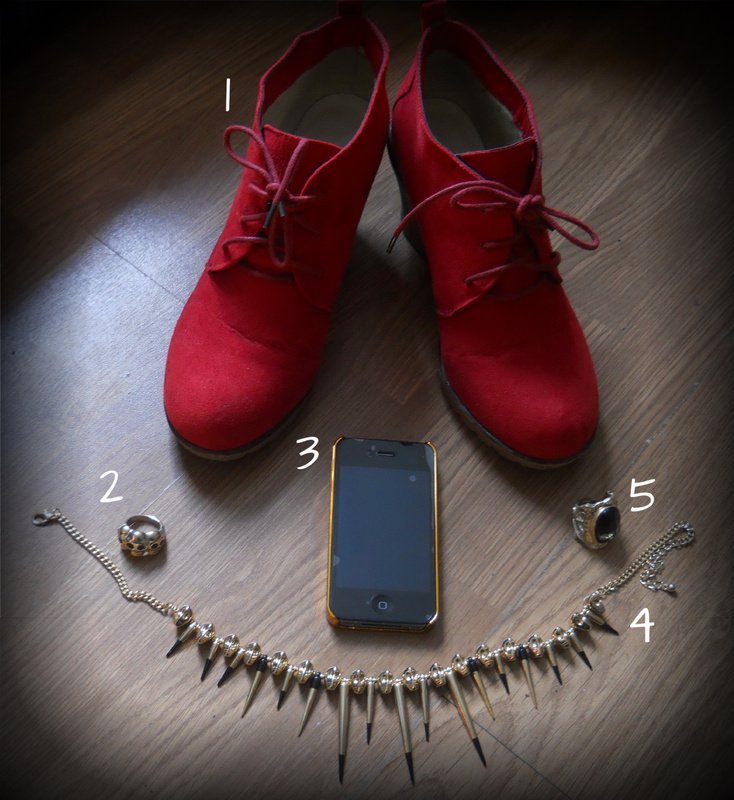 Number one is a pair of red boots I picked up from Latitude in St. Ives, Cornwall. The boots are by a brand called ‘Timeless’ which is available in many shoe stores throughout the UK, including Barratts, and they have loads of other great boots in stock at the moment. These gorgeous boots were only £27.99 in the sale and I’m excited to wear these all winter long to spruce up dull outfits. I already sported them in a recent OOTD, pictured below, so to read the whole OOTD post, click here. 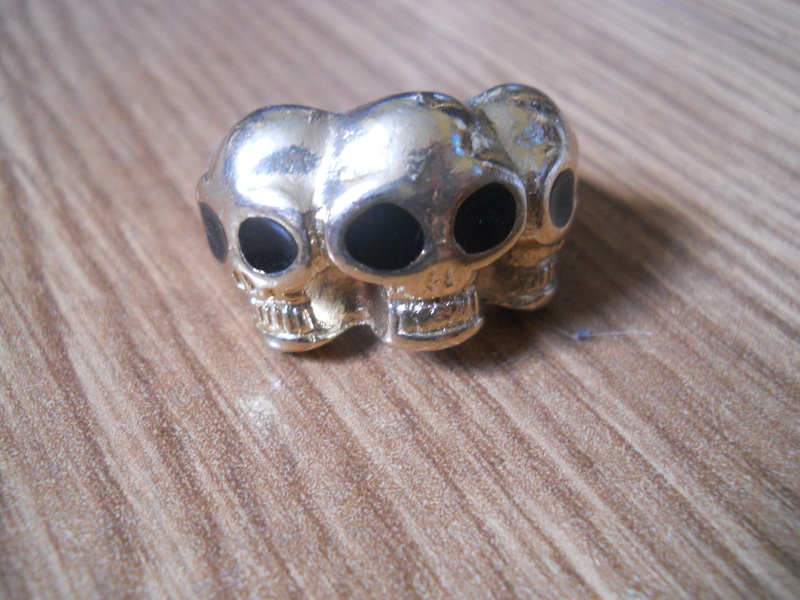 Number two is a ring and surprise, surprise it’s got skulls on it. Yes, I know what you’re thinking, she’s gone over the edge, but this piece I actually got for free. That’s right, I got it for free! You may remember me posting about these New Look necklaces a few weeks ago, and eventually I caved and bought the third one. On reaching the checkout on the New Look website I was told it was buy one get one free on all jewellery and therefore I had to pick something else. Don’t you just love it when that happens? Being in an almighty rush, I picked the first thing I saw that I thought I was likely to wear and now this is one of my favourite pieces, who knew. 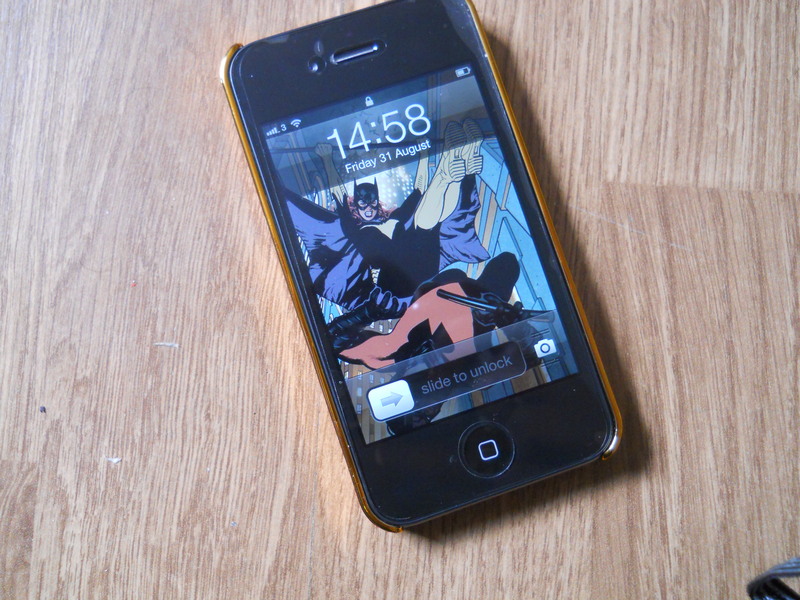 Number three is hands down the most exciting thing I acquired this month, and it’s my Iphone 4S. I have wanted an Iphone for as long as I can remember, but was tied into another phone contract. Thankfully this month the contract ended and I found a great phone deal with unlimited internet, so what more could a blogger need? As with most new Iphone users, I’m loving Instagram now and am constantly instagramming my fashion finds on a day to day basis. Just search Camilla Delacoe on Instagram if you want to follow me and get sneak peeks of upcoming blog posts. I am genuinely really enjoying being able to access all the sites I love from my phone and being able to browse my Pinterest boards for inspiration is a bonus too, I’ve even geeked my phone out with a Batgirl vs Nightwing wallpaper I found on there. I’m obsessed with this thing at the moment so I’d love your app recommendations, leave me your suggestions and favourites in the comments if you have any. Number four is a necklace that may be familiar to you, due to it being featured in my recent OOTD as pictured earlier in this post. 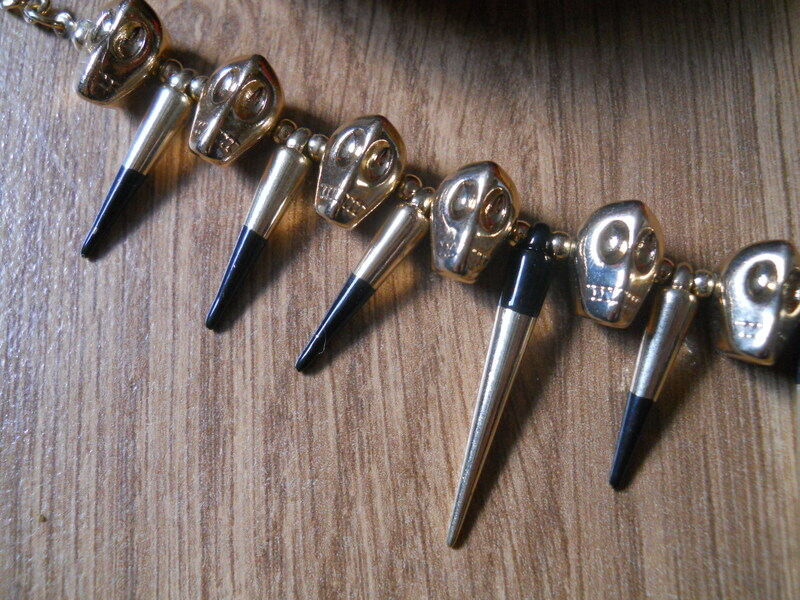 I have fallen so in love with this necklace, ever since I saw it I knew I had to have it, and it really is so versatile. 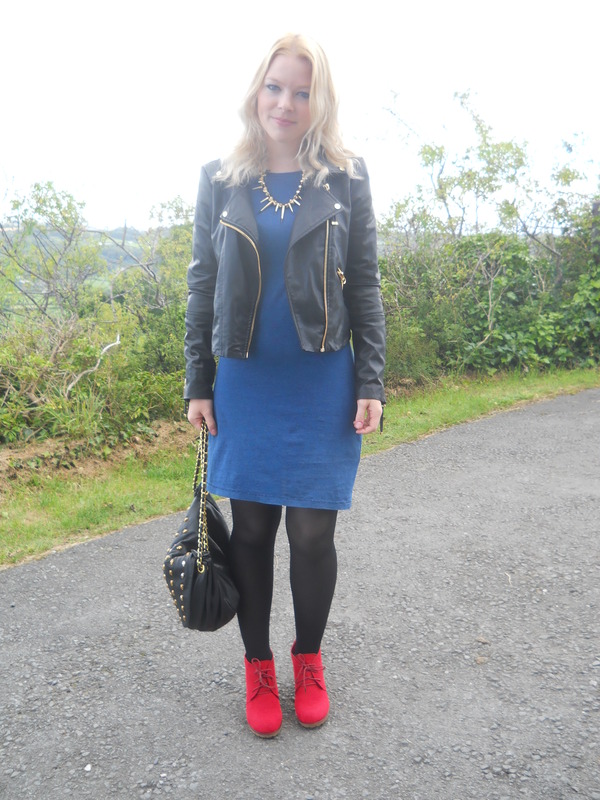 I first spotted this in the ASOS sale and featured it in my studs and spikes get the look post, click here for that. It’s a great necklace to toughen up dresses with and I adore throwing this over baggy jumpers to make them dressier and to add edge. This is one piece that’s cementing my credentials as a skull fanatic and probably, obsessive. Lastly, number five is a ring from H&M which I haven’t taken off since I bought it this month. 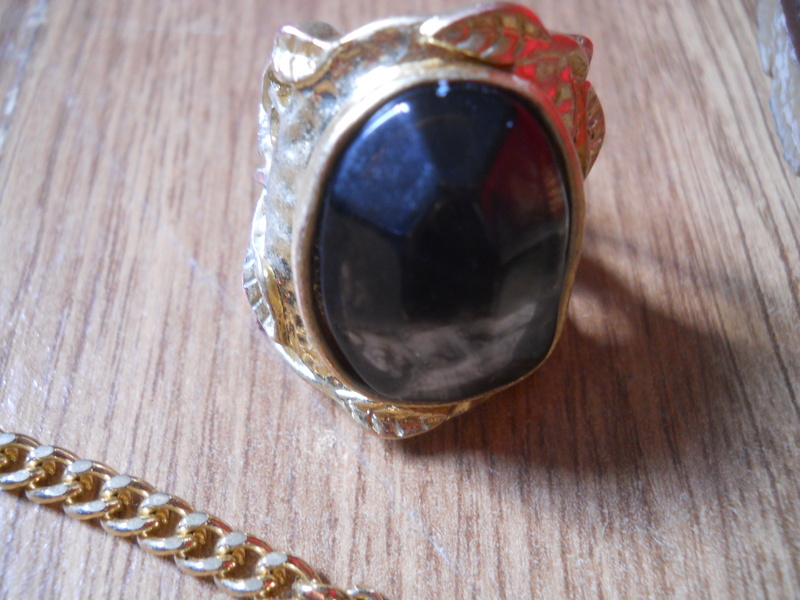 On spotting this I loved how much it reminded me of the YSL arty rings, although in retrospect it is a bit different. For £3.99 I couldn’t say no to this cute addition to my jewellery collection and it looks great when paired with loads of other rings too, it’s just an easy and affordable piece that I’m glad I picked up. Disclaimer: All images were taken and are owned by me. I am not affiliated with any brands or companies mentioned. All items were purchased with my own money and all opinions are my own.